"Starmaker Entertainment" redirects here. It is not to be confused with StarMaker Interactive. Anchor Bay Entertainment (formerly Video Treasures), was an American home entertainment and production company. It was a subsidiary of Starz Inc.. Anchor Bay Entertainment marketed and sold feature films, series, television specials and short films to consumers worldwide. In 2004, the company agreed to have its movies co-produced by 20th Century Fox and renewed their deal in 2011. A year after Starz launched a home entertainment division in 2016, they later folded Anchor Bay Entertainment into Lionsgate Home Entertainment. Anchor Bay Entertainment can date its origins back to two separate home video distributors: Video Treasures, formed in 1985, and Starmaker Entertainment, founded in 1988. Both companies sold budget items — reissues of previously released home video programming — at discount prices. Video Treasures started with public domain titles, and later made licensing deals with Vestron Video, Heron Communications (including Media Home Entertainment and Hi-Tops Video), Britt Allcroft (the Thomas the Tank Engine series), Trans World Entertainment, Regal Video, Virgin Vision, Hal Roach Studios, Jerry Lewis, and Orion Pictures, among others. Starmaker's major distributions were films from the then-recently out-of-business New World Pictures and programs previously licensed to their video division. Viacom programs and Saturday Night Live compilations were other notable Starmaker releases. The companies competed with each other for years, until they were sold to the Handleman Company, and formed a new corporate umbrella: Anchor Bay Entertainment, in May 1995. The company also bought out (through the Video Treasures and Starmaker acquisitions) other budget home video and music distributors such as MNTEX Entertainment, Teal Entertainment, Burbank Video, Drive Entertainment, and GTS Records. Both the Video Treasures and Starmaker labels were phased out a few years later. Original company logo from 1997 until 2007. In the late 1990s and early 2000s, Anchor Bay specialized in the release of horror films, particularly cult films and slasher movies from the 1970s and 1980s. One of its first releases was Prom Night in 1980. It also released Halloween (as well as its 3rd, 4th, and 5th sequels), Hellraiser, and many others, leading the home video market for obscure and retro horror films. Anchor Bay remained part of Handleman until 2003, when it was acquired by IDT Entertainment. On February 4, 2005, the Securities and Exchange Commission filed civil charges against two former employees of Anchor Bay Entertainment, a former subsidiary of Handleman Company. The SEC's complaint, which was filed in the United States District Court for the Eastern District of Michigan, alleges that the two employees caused the company to enter into a 2 million-dollar fraudulent transactions. The transactions involved the purported sale of slow moving or obsolete inventory to business partners coupled with secret buy-back provisions. The inventory included worthless video boxes and sleeves and DVDs for films. Handleman subsequently restated its financial statements to correct these accounting errors. Liberty Media, the owner of the Starz cable network, purchased IDT Entertainment from IDT Corporation in 2006 and renamed it Starz Media. In May 2007, Anchor Bay became known as Starz Home Entertainment (SHE). SHE announced on June 19, 2007 that it will be releasing high definition versions of its films exclusively in the Blu-ray format. In 2008, Starz Media re-instated the Anchor Bay Entertainment brand and all current releases bear this name. Many of the company's past cult titles have gone out of print, although some have been reissued by Blue Underground. On January 4, 2011, Starz, LLC sold 25% of Starz Media to The Weinstein Company, which rendered Anchor Bay the de facto video distributor of films made by TWC and Dimension. Starz later bought back the Weinstein's stake in October 2015, with Anchor Bay continuing to release TWC and Dimension video releases. In early 2015, Anchor Bay UK (alongside Manga Entertainment UK) was bought from Starz by managing director Colin Lomax and renamed to Platform Entertainment. Kaleidoscope Film Distribution would acquire Platform in December 2016, with Manga Entertainment UK becoming an separate entity and operating on its own. On June 30, 2016, Lionsgate agreed to acquire Anchor Bay's parent company Starz Inc. for $4.4 billion in cash and stock. The Starz/Lionsgate merger was completed on December 8, 2016. Afterwards, Lionsgate folded Anchor Bay into Lionsgate's home entertainment division and the website ceased to operate. Some of the Universal Pictures films under license from Universal Studios Home Video such as Army of Darkness, The Car, and Repo Man, although licensing on these films have returned to Universal Studios Home Entertainment. Most of the 1950s–1980s Walt Disney Productions/Walt Disney Pictures live-action library, as well as the film library of American Broadcasting Company, under license from Walt Disney Studios Home Entertainment (The Black Hole, The Cat from Outer Space, Condorman, One Magic Christmas, The Devil and Max Devlin, The Happiest Millionaire, The Great Locomotive Chase, Return to Oz, Tex, The North Avenue Irregulars, The Watcher in the Woods, etc. ), although licensing on these films have returned to Walt Disney Studios Home Entertainment, while the ABC library is currently distributed by Kino Lorber under license from Disney (formerly MGM Home Entertainment). Worked alongside Troma Entertainment in re-releasing some of their older films on Blu-ray as well as distributing their newest production, Return to Nuke 'Em High. During its original incarnation in the late 1990s and early 2000s, Anchor Bay specialized in the release of horror and cult films, particularly those from the 1970s and 1980s. The company's first-ever release on DVD was The Car in April 1997, followed by Elvira, Mistress of the Dark that August, and a director's cut of Dawn of the Dead in November 1997. The company's next release was Prom Night in February 1998. It also released Halloween (as well as its 3rd and 4th sequels), Sleepaway Camp, Alice, Sweet Alice, The Hills Have Eyes, Suspiria, Maniac, the first 3 Hellraiser films, The Wicker Man, Silent Night, Deadly Night, Children of the Corn, The Beyond and several other Lucio Fulci films. Some of these titles were given numbered limited edition releases which included multiple discs, information booklets, and collectible tin cases. Many of these releases went out of print and became sought-after collectibles. Anchor Bay Entertainment is also noted for the release of the Evil Dead film trilogy on DVD, in numerous editions. Army of Darkness for example, had been released in both a regular and limited edition set that featured the director's cut of the film. Since then, the director's cut has been re-released on 2 separate occasions in addition to a 2-disc "Boomstick Edition" of the film as well. Until Anchor Bay released The Evil Dead on VHS and DVD, it was previously unavailable on video from a major label. Also among its more profitable releases has been George A. Romero's Living Dead series. Anchor Bay Entertainment has distribution rights for the middle 2 films in the Romero tetralogy: Dawn of the Dead and Day of the Dead, however, it has also distributed DVDs of the original film, Night of the Living Dead, which is in the public domain. Like the Evil Dead trilogy, the "Living Dead" series has seen many editions of the films on DVD. Dawn of the Dead has itself seen several releases on DVD, the most extra feature-laden being the Ultimate Edition in late 2004. An "Evil Dead" 3-Disc Ultimate Edition DVD was released in December 2007. In addition to feature films, Anchor Bay Entertainment distributed special interest titles, including children's video series, like Bobby's World and Mister Rogers' Neighborhood. Until 2008, they've distributed Thomas the Tank Engine & Friends videos. Thomas has reached platinum-selling status and in 2004 ranks consistently on the VideoScan ranking top 50 chart of children's weekly video sales. Lionsgate acquired the Thomas DVD titles after HIT Entertainment bought out the rights to Thomas. Rights to the Thomas DVDs now belong to Universal Pictures Home Entertainment (through their deal with Mattel, HIT's current parent company). The company also has a top market share for fitness videos such as the Crunch and For Dummies series. The company also distributes Ultimate Fighting Championship events on DVD and Blu-ray. As a full-fledged production company, they handle television syndication of Halloween, Halloween IV: The Return of Michael Myers and Halloween V: The Revenge of Michael Myers (which they also hold the video rights to), and have recently entered in-house production and distribution of theatrical films. Anchor Bay Entertainment received a Special Achievement Award from the Academy of Science Fiction, Fantasy & Horror Films in June 2002. 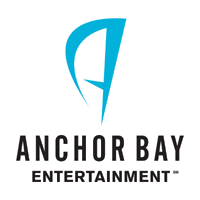 Anchor Bay was recognized as one of the "pioneers in DVD releases and home video entertainment" and "successful in releasing dramas, comedies, foreign films, children's programming, and most prominently genre films." Cited as highlights of Anchor Bay's releases were "the films of Hammer Studios, the works of Werner Herzog, Paul Verhoeven, Wim Wenders, John Woo, Monte Hellman and Sam Raimi". ^ Video Business – "Anchor Bay, Fox finalize deal"
^ a b c Billboard (May 20, 1995), page 84-85. ^ "Weinsteins Buy 25% Stake In Starz Media". Deadline Hollywood. Retrieved March 28, 2016. ^ Lieberman, David (June 30, 2016). "Lionsgate Agrees To Buy Starz For $4.4 Billion In Cash And Stock". Deadline Hollywood. Retrieved June 30, 2016. ^ Lieberman, David (December 8, 2016). "Lionsgate Closes Deal To Buy Starz". Deadline. Retrieved December 9, 2016. ^ "Discs Released by Anchor Bay Entertainment". DVDloc: The Internet DVD Database. Retrieved May 30, 2012. ^ Catalogue listings state that Prom Night was released by Anchor Bay on February 18, 1998.